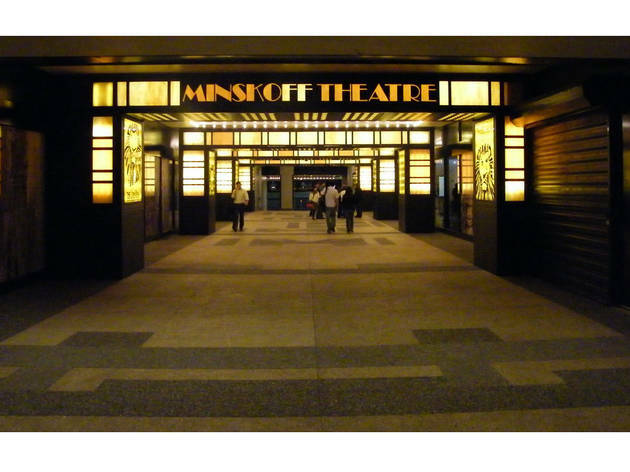 Most Broadway houses originate from the 1920s or ’30s, but the Minskoff opened its doors in 1973 with a lavish revival of the 1919 musical Irene, starring Debbie Reynolds. 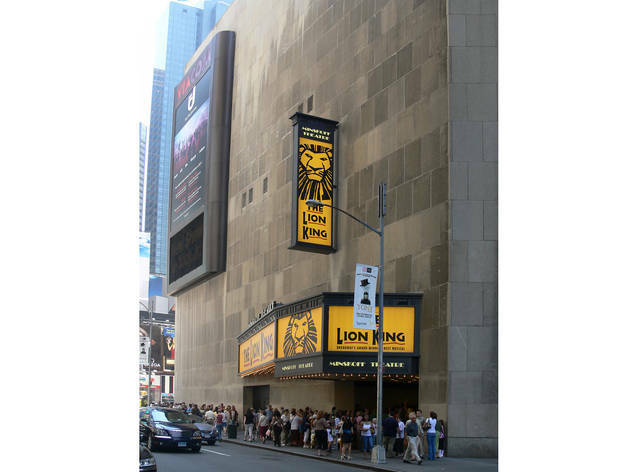 Today, it’s home to The Lion King. 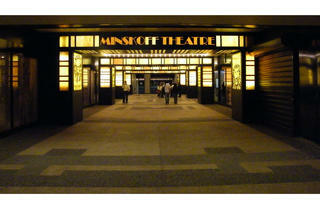 The Minskoff is distinguished by altitude: It’s located on the third floor of One Astor Plaza, a 55-story office tower. 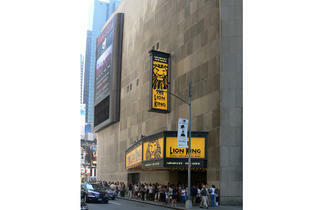 With 1,654 seats, it's the third largest house on Broadway. The lobby features hand-painted, gold-leaf-covered sculpted tableaus that adorn interior walls and showcase its panoramic views of Broadway.